As a Student, Criminal Charges Have Stronger & Longer-Lasting Impacts: Protect Yourself & Your Future! At The Clark Law Firm, we understand the importance of an education. Students who find themselves in trouble face additional problems compared to non-students. There is usually a disciplinary process unique to each University. 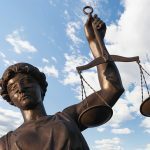 Depending on the University as well as the specific offenses being charged, there are a vast array of penalties that can arise if found guilty and a criminal conviction is given. This can lead to the loss of a scholarship, expulsion, removal from a dormitory or student housing, as well as removal from a University team. These penalties can vary dependent on the charges being brought forward. An important goal that should be targeted during these difficult times is the protection of the students academic status. 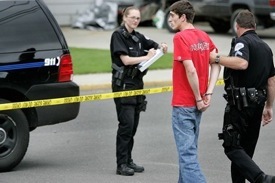 A Boulder criminal defense attorney can help ensure the most is done to keep a students status active as well as to reduce or eliminate the charges pending. A criminal record can also undermine the chances of an admission to a professional or or graduate school. It will also no doubt severely reduce the likely hood of securing a job once the students education is complete. A Boulder attorney will immediately go to work to help minimize the expected damage. This pertains both to the criminal charges as well as advising through the Universities disciplinary process. The Clark Law Firm has a firm understanding of alternative sentencing options which provides our clients with a significant advantage while choosing a course during such uncertain times. Such experienced Boulder Lawyers allows for the strongest and most comprehensive defense of our clients. Not all Boulder Law Firms are created equally, and we feel that Phil Clark easily rises above the rest. If student legal defense services are needed, than please pay a visit to Phil Clark.